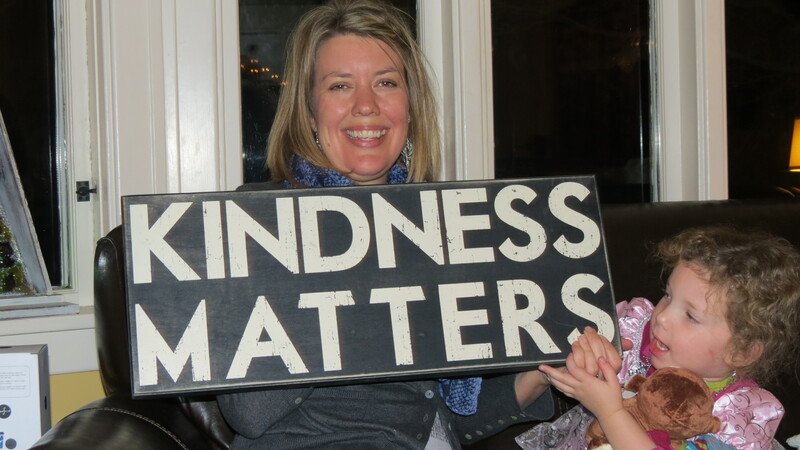 kindness matters…. – Journey to my heart…. On December 23, just before 9 pm, my sister opened up this gift from her husband…. This moment was when our life was still as we liked it, unchanged, with Len…. I never thought I would use this picture to blog about our grief journey…. Tonight I am weary and very aware of the heaviness that accompanies grief…. And I am very aware that kindness is strong enough to penetrate the heaviness of grief…. Kindness in so many ways….. I can tell you there is so much mystery to what the coming weeks will hold, but one thing I know for sure….. Thank you one and all…..
how can we be anything but kind? That is why we are a family of GOD! To share in the joys, sorrows and love around us! We find our thoughts turning to you and the family so often. I pray that each of you will have what you need to live through each day in hope. Next Next post: An invitation….